Technology has replaced many traditional business tools, but there is still an important place for marking devices like stamps and seals. 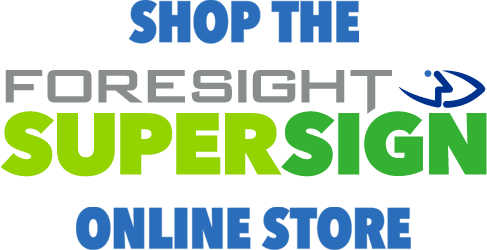 With over sixty years of experience, Foresight SuperSign has an affordable, reliable solution for you. Widely used by notaries, government officials, and engineers, stamps, seals and embossers have everyday uses even in our modern, digital world. Imagine the impression you’ll make using a custom, logo-branded mark on your business correspondence! Or imagine creating custom recognition awards and certificates with a seal or embosser for employees, customers or students. The good, old-fashioned rubber stamp with a wooden handle. Classic. Simple. Versatile. Choose from a variety of pads, inks and colors. Note that not all inks are compatible with all self-inking and pre-inked stamps. From traditional die-plate daters to heavy duty, metal-framed self-inking daters, there’s a solution for almost any date stamp need. Great for convenience and affordability, self-inking stamps have a variety of uses--return addresses, signatures or deposit stamps. Refillable, they yield 8,000 to 10,000 impressions. A step up from the more economical self-inking stamps, pre-inked stamps offer the best value--superior image quality, more than 50,000 impressions, and they are refillable. The task of numbering ranges from basic, standard line devices to heavy duty, self-inking, automatic numberers. For high volume applications, check out the heavy duty electric embossers. 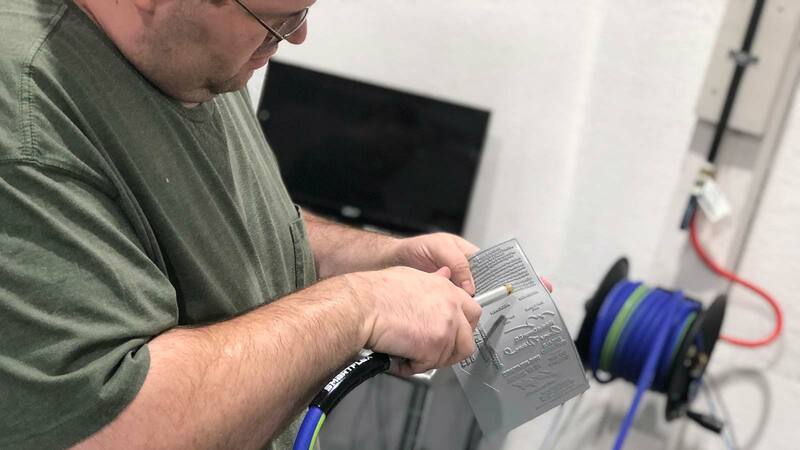 While these durable devices might be in the back pocket of every notary, government official and engineer out there, seal presses and embossers are great, unique items with everyday applications! Emboss a custom, logo-branded mark on all of your correspondence to leave a lasting impression (pun intended)! We carry both handheld and desk style seals and embossers. Many of our marking devices and engraved nameplates can be ordered online! Visit the Foresight SuperSign online store to place your online orders!